Thirteen-year-old Amon is ready to join his father in the temple court where only men are allowed. But when his father, Jotham, is falsely accused of a terrible crime, Amon willingly sacrifices his childhood ways in order to save his father's life. Start reading Amon's Adventure: A Family Story for Easter on your Kindle in under a minute. 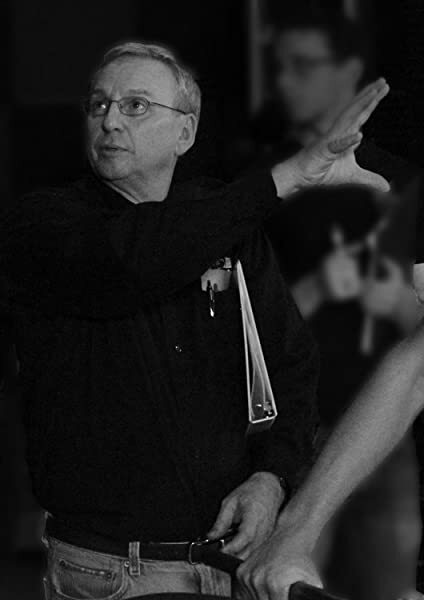 Arnold Ytreeide is a fine storyteller who cares deeply about spiritual growth in families. Ytreeide is the founder of Storyteller Productions and lives with his wife and two children in Nampa, Idaho. This is a devotion for families to read in preparation to celebrate Easter. I wanted to make that clear because I've seen reviews of Christian books where non-Christians complain that they were misled. I read this aloud to two boys who were 12 and 10. They enjoyed the story. At first, I found it a bit difficult (tedious) to read. In fact, I tried it once before putting it away. I took it out a year later and decided to stick it out. I think that's because the first two or three chapters are long and slow in comparison to the rest of the book. The young male protagonist is initially upset that he will have a female house guest. I didn't find him appealing because he seemed to make such a big deal of it. However, the story picks up after that and continues to move along at a nice clip. The boys enjoyed the story and always wanted to read additional chapters. (As a side note: they could have read it themselves but we like to enjoy some books together.) At first I had wondered if we (I) would make it through before Easter, since we began the book late. We also skipped some days when we were busy. We still made it through by combining some chapters every time we read. The conflict here is pretty high stakes, which is engaging. There is essentially a mystery to solve. It is still fun for an adult or older reader who knows their Bible. One interesting aspect is the detail given about the temple, especially in relation to the Fortress of Antonia. Some real people are mixed in with the story but fictional elements are added to their lives. For example, an apostle is credited as having a daughter, but that is never mentioned in Scripture. Very young children may find that confusing. From what I recall, characterization is good. The protagonist is the most well developed. His friends also have distinct and consistent personalities. The mother and brothers are shuttled to the side. For example, one of the boys is described as having a lying problem. That goes nowhere. The editing could have been better. I told the boys that I didn't want them to read the book themselves because there are so many misplaced commas. There may have been other problems, but I don't remember them now. I also don't know that we got a whole lot out of the devotional verse(s) and message at the end of each chapter. I thought some didn't quite fit with the chapter we had read. Despite its flaws, we really enjoyed the story. I think many Christian families with enjoy. It made the boys want to read all the others in the series. I wish there were more Easter stories like this one. We have loved the Advent stories by this author, but this story is a disappointment. It wasn't nearly as engaging, but we were willing to muddle through in hopes that the climax would be as exciting as the others. However as we read through the chapters beginning with the Last Supper, the Biblical inaccuracy as well as the extra characters added into the true story of Christ's Last Supper, the arrest, the trial in the courtyard, etc, felt false and misleading. Very disappointed in this one. 5.0 out of 5 starsVery good story line. Easily kept the kids interest. We have 5 boys ages 15,13,12,10 and 5. They all loved this book! Often they would ask to read 2 passages instead of 1 because they were so interested in the story! Love the scripture verses at the end of each passage that help tie it all together. We read Jothams Journey during Christmas and the kids enjoyed that some of the characters carried over to this story. There are 25 short chapters. Was a bit more difficult for us to keep on top of. With Jothams Journey, the story of advent, you read a passage each day. We started this book too early and only needed to read a chapter ever few days so it was wasy to get behind. Next time we read this I will make sure we map it out a littlw better. It is a good story and does help prepare the heart for the celebration of the Resurrection. 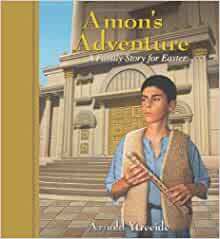 I would have liked it to have been more about Jesus and perhaps the perspective of how a young boy (Amon) may have experienced these events in history...the story is more focused on Amon's fictional story than on the story of Jesus itself. Still a good read and I'm sure we'll read it again as a family in the future! Mr. Ytreeide writes wonderful books. We read all of them to our children (except his latest) He doesn't gloss over how the times were back then. Read first, before reading to very young children. We just took the time to explain some of the harsh conditions before we read. I am looking forward to getting the latest and reading it myself for this Advent. (My children are already grown!) Fabulous to even re-read.